Diseases of the heart valves. Inflammatory conditions of the brain and spinal cord e.g. meningitis. Severe cases of hypertension where the systolic blood pressure is as high as 200 mmHg or more. Tongue White or yellow, with red streak down the middle. Should not be used to lower the blood pressure if other symptoms are not present. 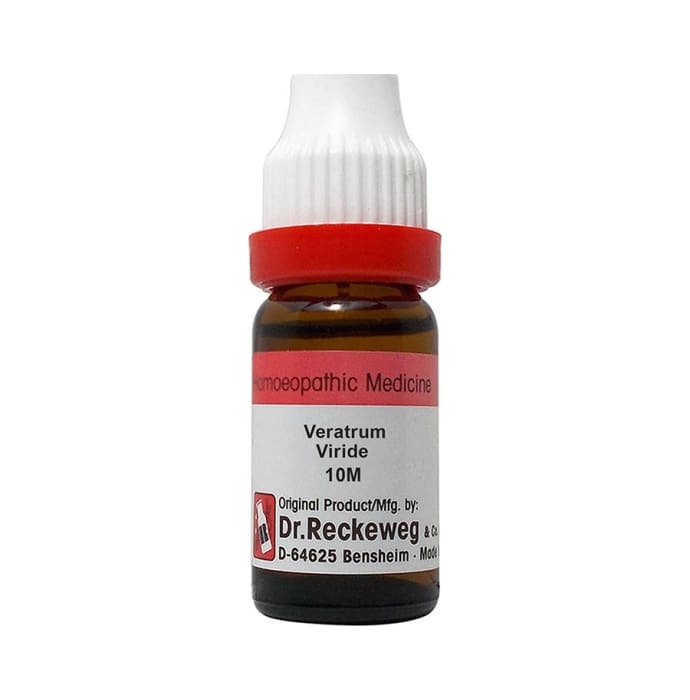 A licensed pharmacy from your nearest location will deliver Dr. Reckeweg Veratrum Viride Dilution 10M CH. Once the pharmacy accepts your order, the details of the pharmacy will be shared with you. Acceptance of your order is based on the validity of your prescription and the availability of this medicine.